Being a tight-knit group of true friends who genuinely enjoy each other's company, members voluntarily gather informally on non-meeting Thursdays to enjoy each other's company (and usually order-in food). During the summer months (July & August), there are no official meetings. 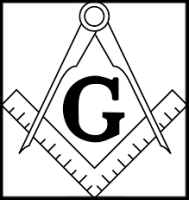 However members gather to practice ceremonies, learn new roles, enjoy fellowship, eat pizza, and discuss Masonic and non-Masonic topics. Official meetings are held on the 1st & 3rd Thursdays of every month (September-June) at 7:30pm. Each meeting is preceded by a meal at 6:30pm consisting of salad, entree, sides, bread, and desserts.